208 pages | 19 B/W Illus. This book examines the introduction of Soviet socialist culture in the People’s Republic of China, with a focus on the period of Sino-Soviet friendship in the 1950s. The vast state initiative to transplant Soviet culture into Chinese soil has conventionally been dismissed as a tool of propaganda and political indoctrination. However, this book demonstrates that this transnational engagement not only facilitated China’s broader transition to socialist modernity but also generated unintended consequences that outlasted the propaganda. Drawing on archival findings, newspapers, magazines, media productions, and oral interview, the book delves into changes in Chinese popular imagination and everyday aesthetics contingent upon Soviet influence. 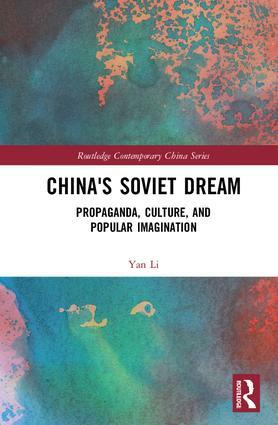 It proposes a revisionist view of the Soviet impact on China, revealing that Soviet culture offered Chinese people the language and imagery to conceive of their future as a dream about material abundance, self-determination, and the pleasures of leisure and cultural enrichment. Written with a transnational, interdisciplinary, and thematic approach, this book is aimed at scholars and students in the fields of Sino-Soviet relations, international socialism, modern Chinese history, cultural studies, and mass communication. It will also be of interest to researchers seeking to understand the nature, significance, and repercussions of Sino-Soviet cultural engagement. Chapter 2: One World, One Language? Yan Li is Assistant Professor of History at Oakland University, USA. She received her Ph.D. in World History from Northeastern University, with a concentration in Modern China. Her doctoral thesis examined China's cultural interactions with the Soviet Union and the impact of Soviet culture on Maoist China. She is interested in cultural history, women and gender studies, and cinema studies related to the period of modern China. She teaches introductory courses on Chinese history and culture, as well as upper-division courses on Chinese women, the Qing Dynasty, Chinese revolutions, and contemporary China.